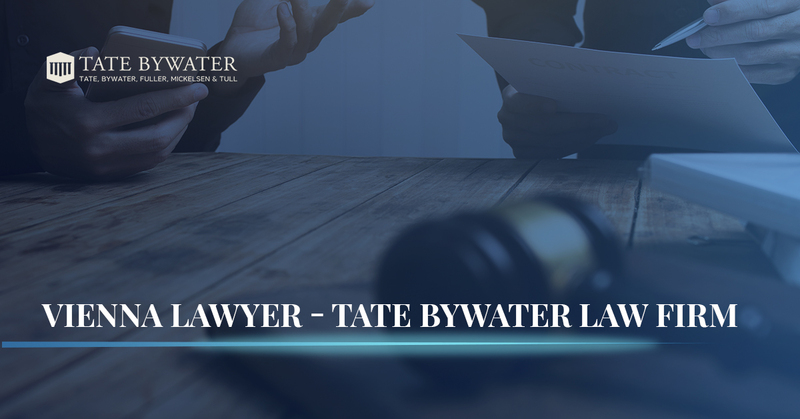 If you have been searching for a Vienna Lawyer that is experienced, successful, and affordable, we at TATE BYWATER Law Firm are excited to inform you that your search has likely ended. We are a team of Vienna Lawyers who work diligently to achieve positive results for our clients. No matter the particulars of whatever situation life has thrown at you, we can help you tackle the challenging legal side of your predicament. Whether you’ve been accused of a crime, suffered a serious accident, or need expert legal advice regarding a corporate matter, we have the experience and dedication that counts in our industry. The willingness to go the extra mile for our clients sets us apart from other Vienna attorneys, as evidenced by our wealth oftestimonials and peer-to-peer recognitions. Founded in 1972 by James R. Tate and Douglas E. Bywater, TATE BYWATER has grown from its humble, single-office beginnings to become a multi-office Vienna law firm that tackles a wide variety of cases in Washington D.C., Maryland, and Virginia. With offices in Vienna, VA, and Saint Leonard, MD, we are conveniently located for the vast majority of our clients. But whether you hail from Vienna, Alexandria, Centreville, Fairfax County, Prince William County, or somewhere else in the greater metropolitan D.C. area, we are equipped to deliver our clients positive outcomes. “Mr. Tate, We are writing to thank you for the excellent way that you have defended us in the past 8 years. You were an answer to prayers and have been a guardian of our family and our freedoms ever since. Over the years you have willingly assisted us whether our situation was large or small. Always taking the time to educate yourself, find resources and experts to assist in our plight. Your personal integrity and high moral standards instill in us, trust in your abilities and work ethic. You have treated us like a friend and defended us like one of our own. Your attention to detail, quest for truths, and drive for justice has served us well. Words will never be enough to thank you for your service.” – Mark & Sally C.
As Mark and Sally so graciously explained, we have a passion for providing exceptional legal representation, irrespective of the particular practice area in question. No matter if you have been accused of a crime and are facing going to trial or you are seeking a personal injury attorney after suffering an accident, we’ll treat you with the dignity you deserve. With a particular emphasis on keeping our clients informed as much or as little as they wish, we pride ourselves on our ability to tailor our legal services to the unique needs of our clients. Give our team of Vienna lawyers a call at your convenience; we’d love to learn more about you and your situation to see if we can provide you with the expert legal representation you seek. Schedule your free consultation today.